So Beau gave me this really lovely bracelet for Valentine's Day and I love it. I had a little doctor's appointment today, hardly an occasion for dressing up, but I really wanted to wear the bracelet. This is what I put together. Lots of us base entire outfits around a jewelry choice, don't we? 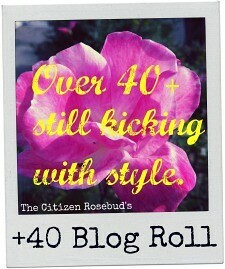 My 94 year old great aunt says that she does. If my Quaker great aunt can do it, so can I.
I'd actually forgotten that I own this shirt. I'm glad the bracelet helped me rediscover it. 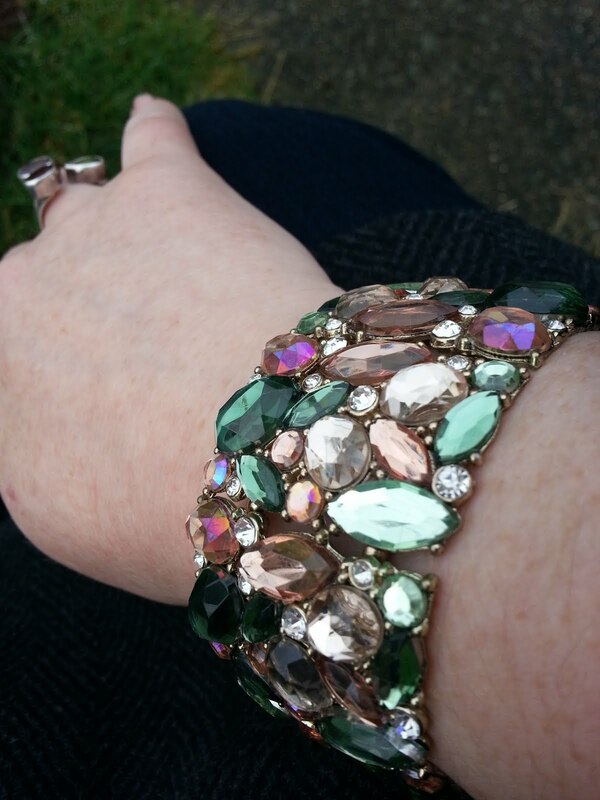 I got several compliments on both it and the bracelet today. I modernized the blouse a bit with a thin belt. This creates the closest thing to a peplum I think you'll see me wearing. 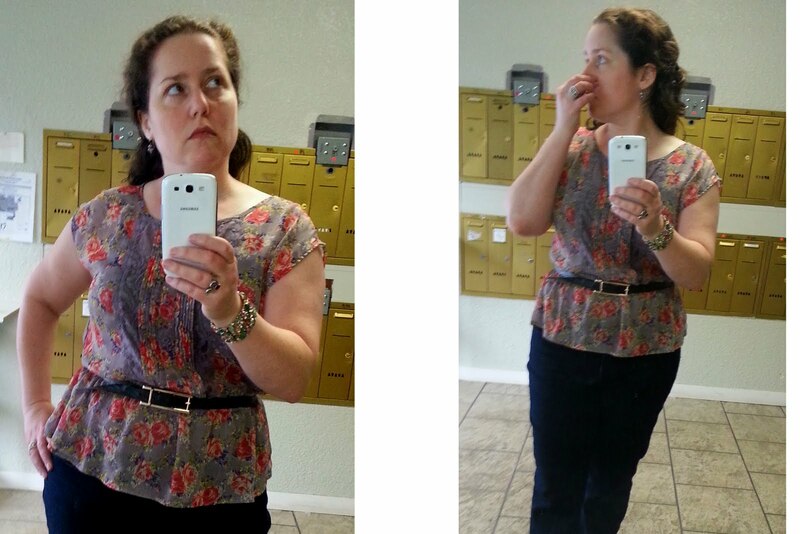 I'm not a fan of the peplum fad but this belted blouse seems to work. I think a curvy woman's best asset is her waist so I'm all for accentuating it whenever possible. La la la. 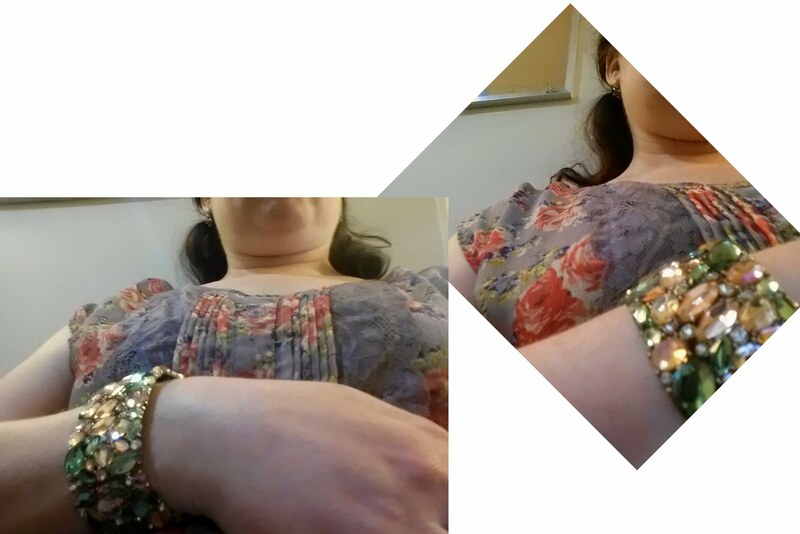 Just waiting in the doctor's office, looking good and surreptitiously photographing my bracelet. Women constantly tell me that they'd love to dress well but that they have nowhere to wear nice pieces. The doctor's office does nicely for me, thank you very much. Wherever, whenever; if it makes you happy and it's not impractical for the day's plans, just go ahead and wear it. Who on earth is it hurting? And it might just make your day a little bit nicer.